This topic contains 5 replies, has 5 voices, and was last updated by Matt Worobec 1 year, 4 months ago. 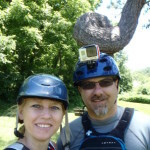 Sign up today for Introduction to Whitewater Kayaking and/or Learning to Roll. These classes are held at Mehlville High School Pool on Wednesday evenings from 7:00 to 9:00. 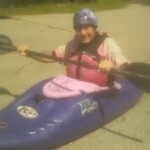 The Intro to WW kayaking class starts Jan 10 and runs six weeks. The Roll Class starts Feb 21 and runs four weeks. The cost is $90 for the Intro class and $40 for the Roll class. Equipment is available for an additional rental fee. See class descriptions below. To sign up, go to Mehlville Community Enrichment. Feel free to post or PM any questions you may have. 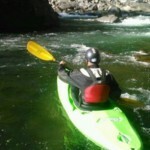 Intro to Whitewater Kayaking. 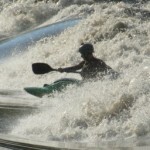 This is the perfect way to get started in whitewater kayaking. You will begin building fundamental skills indoors, in a warm pool. Skills include strokes, edging, and the roll, plus blending strokes for river maneuvers. Pool-side discussion will cover safety, gear, river running, and more. Learning to Roll a Kayak. 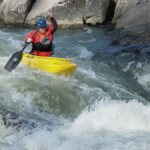 Focused on rolling a whitewater kayak, this class is for you whether you are hoping to nail your first roll or wanting to practice and refine your roll to make it bomb-proof on the river. You will receive pool-side instruction and then work one-on-one with instructors in the pool, progressively learning and strengthening component parts of the roll until you have put it all together. Each student will receive two fifteen-minute roll session per class, leaving time for paddling around and getting to know the other students. Elsa is 14. the registration says 15. Do you think she can participate? Does the name Paul Kuthe remind you of anything Jon? Paul was 12 when he took the Forest Park pool kayaking class with his dad my brother Bob, Steve Landrum, Marty White and myself! I didnt see the age thing—i paid for my son–hes really tall hes 12. If there is a waiver for age, I would also be interested in signing up Jace, 13. He’s already had the MWA Spring Clinic once. And comes with Safety Boater Dad, if needed. You can sign your kid up if there are spots. I checked with the school. Its ok.